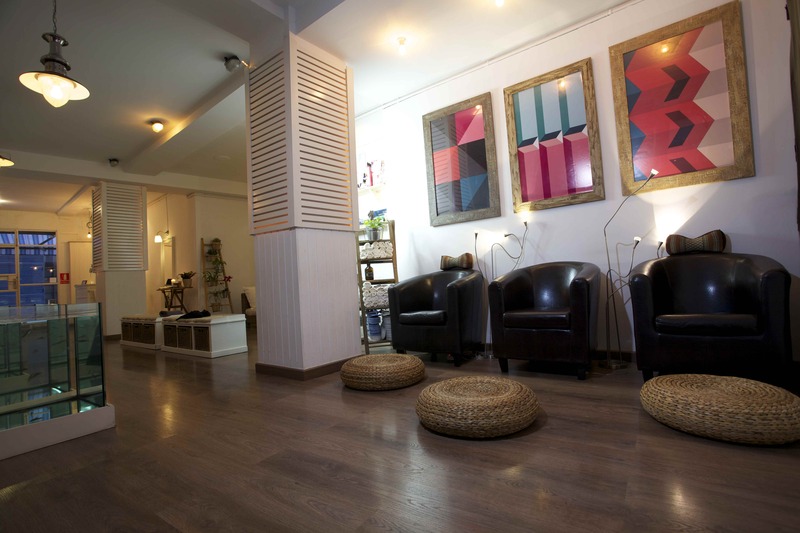 AquaBliss offers you a relaxing, blissful oasis in the heart of Barcelona dedicated to keeping your skin soft, smooth and healthy. How? With the help of dozens of tiny fish called garra rufa. 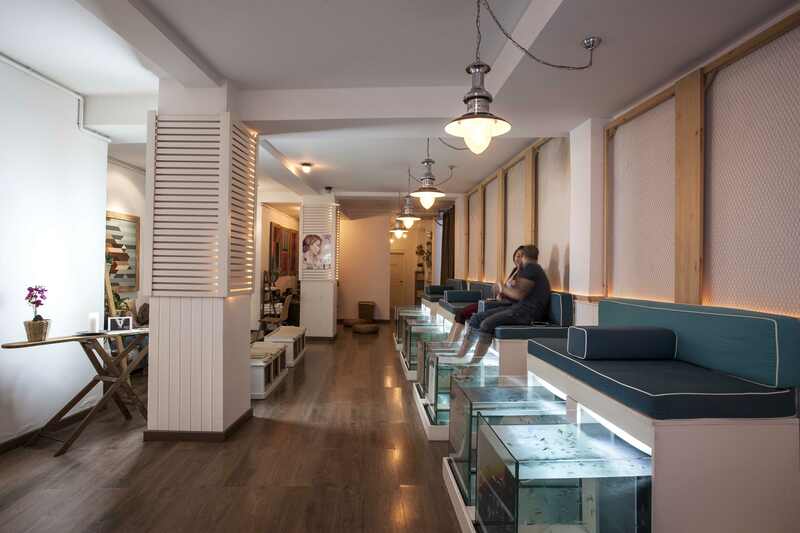 Sit back and enjoy the sensations as they gently clean the flaky skin from your feet, enjoy the complimentary drinks and then drift off with a stress-relieving, rejuvenating foot massage. 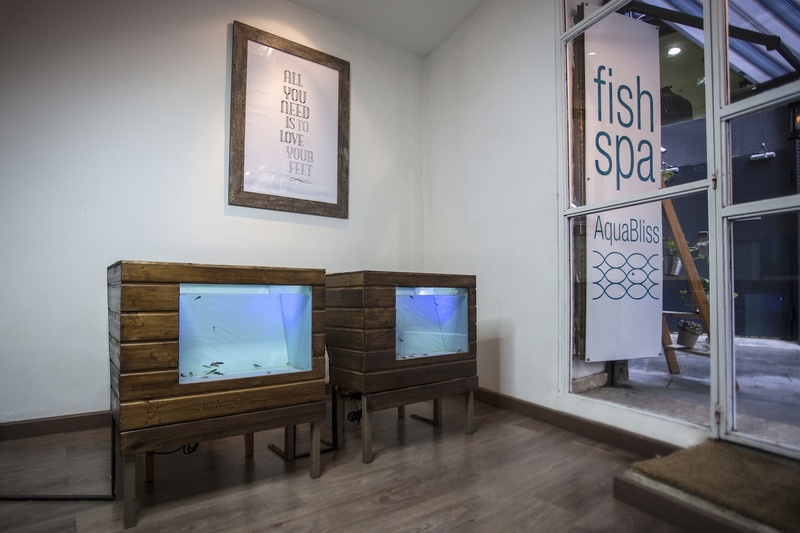 In the heart of the Barrio Gotico, the old town of Barcelona, AquaBliss Fish Spa is just a few minutes walk away from Plaza Catalunya, Las Ramblas and Paseo de Gracia. 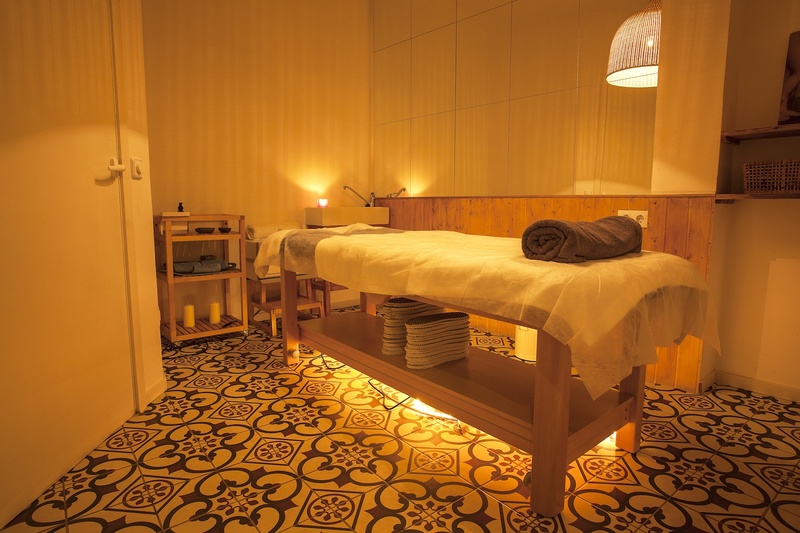 Located in a quiet corner of Calle Comtal, a quaint street packed full of great little shops, boutiques, bars and restaurants, AquaBliss Fish Spa is tucked away in a peaceful, secluded corner underneath the imposing and fascinating facade of the five star Hotel Ohla with it's Michelin starred restaurant Saüc. Whilst you are here, if you are looking for information about things to do in Barcelona, attractions to visit, tips on restaurants and bars, feel free to ask at reception and we will happy to give you our local knowledge about where to go and what to do.